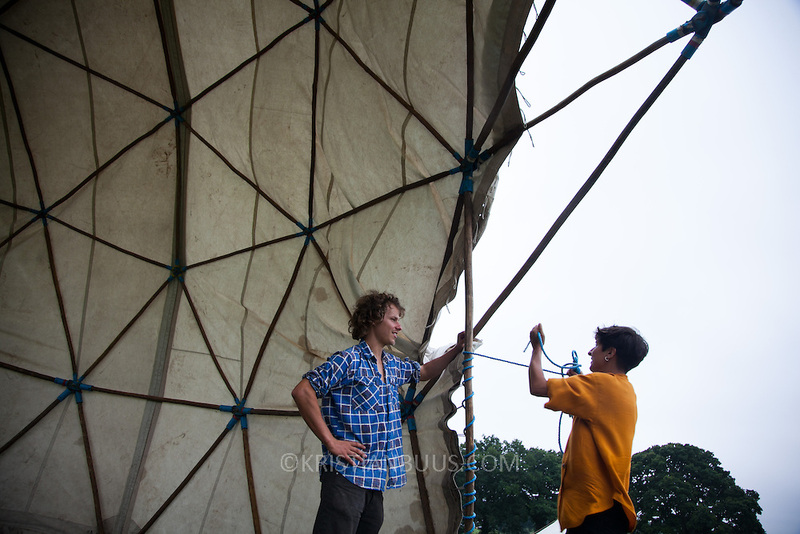 A yurt goes up to make room for various work shops. Reclaim the Power camp is set up in a field near Balcombe. The site is squatted but so far nor the owner nor police has made any moves to stop the camp from setting up. It is organised by the environmental group No Dash for Gas and the movement is protesting against the company Cuadrilla's fracking testing near Balcombe and have come to Balcombe to lend its support to the local protests against the drilling for gas.